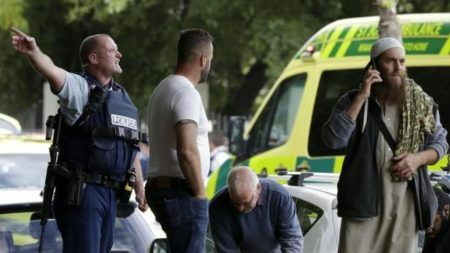 Chistchurch (New Zeland) 15 march 2019- On Thursday evening, it was reported that at least one shooter opened fire on congregants in two mosques in Christchurch, New Zealand, killing at least 49 people. As information on the attacks started to emerge, it became increasingly clear that the shooter or shooters were adherents of far-right extremist ideology, particularly after an 87-page manifesto surfaced articulating Islamophobic and white supremacist views. 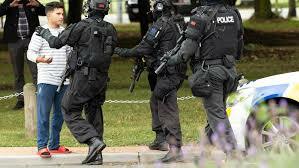 Judging by the manifesto, which is littered with references to internet culture phenomena like Fortnite and Spyro the Dragon 3 and memes like Navy Seal Copypasta, many commentators speculated that those responsible for the shooting were, like many young people on the far right, ultra-literate on social media, or what many would refer to as “Extremely Online.” The fact that at least one of the shootings was livestreamed and uploaded to multiple platforms more rapidly than they could be taken down cements the impression that the massacre was “engineered for maximum virality,” Charlie Warzel, who covers internet culture, wrote in the New York Times. Perhaps no detail is more reflective of that than the fact that one shooter name-dropped the YouTuber PewDiePie during the livestream; specifically, “subscribe to PewDiePie,” a reference to a meme about 29-year-old Swedish YouTube superstar PewDiePie, a.k.a. Felix Kjellberg. Kjellberg almost immediately responded by tweeting, “I feel absolutely sickened having my name uttered by this person. My heart and thoughts go out to the victims, families and everyone affected by this tragedy.” But the reference to PewDiePie prompted some people who are less than Extremely Online to wonder why the shooter would bring up the YouTuber — and others to conclude that the shooter was, in fact, trolling us all. Who is PewDiePie, and where does “subscribe to PewDiePie” come from? 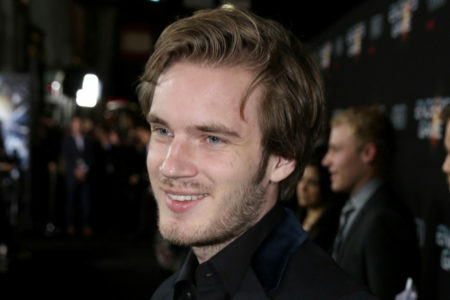 Born Felix Kjellberg, PewDiePie is a 29-year-old Swedish YouTuber with almost 90 million subscribers. He is primarily known for his relatively innocuous meme and video game commentary videos, though he “has flirted with if not endorsed the alt-right neo-Nazi movement and antisemitism,” says Evan Balgord, the executive director of the Canadian Anti-Hate Network. As recently as last December, he came under fire for endorsing YouTuber E;R, whose channel featured videos of unedited Adolf Hitler speeches and a gag poking fun at the death of Charlottesville protester Heather Heyer. As a result of the exposure from PewDiePie, E;R gained 15,000 subscribers, leading many to accuse PewDiePie of “flirting with alt-right culture and sending a dangerous message to his millions of followers, many of whom are teenagers,” as Vox’s Aja Romano put it.